"At his mother's demand, Ilan Halimi was reburied at the Givat Shaul cemetery in Jerusalem in February 2007. "You will never be able to hurt him any more," she wrote in her book, addressing the killers. "I took him away from here because one day you will be free and you would have been able to come and spit on his tomb."" "PARIS (EJP)---28 members of the "gang of Barbarians", a suburban dangerous group, go on trial in Paris on Wednesday for brutally murdering Ilan Halimi, a Jewish Parisian young man in 2006. The killing of 23-year-old Halimi, who was held to ransom for three weeks in a Parisian suburb, traumatized France, a country haunted by a history of anti-semitism and wartime collaboration with the Nazis. Relatives of the victim last week expressed indignation at the defence’s attempts to cast doubt on claims that the 29-year-old Youssouf Fofana, leader of the gang, had chosen to kidnap Halimi in 2006 because he was Jewish. "We’re shocked that there is even any debate about it," said Anne-Laure, one of Halimi’s sisters. She noted that Fofana, who insisted on gang members calling him "Osama", had often insulted Jews and sung verses from the Koran in between ransom demands over the telephone. He allegedly told his accomplices that he wanted to kidnap a Jew because the Jewish community was rich, would stick together and would pay a big ransom. "My son died because of that prejudice, just like millions of Jews before him," said Ilan's mother Ruth Halimi, in a recent published book about her son’s ordeal in which she compared the kidnapping with that of Daniel Pearl, the American journalist beheaded by Muslim extremists in 2002 in Pakistan. Ruth Halimi has called for a public trial so that her son's death "will not have been in vain". But the trial of Fofana, a 29-year-old Frenchman of Ivorian origin, is scheduled to be held behind closed doors at a juvenile court, because two of the gang members were minors at the time of the murder. French law allows for a public trial to be held in certain cases where juveniles are involved. "A public trial would have helped better understand the criminal machine, to make parents and teenagers reflect. It’s the law of silence that killed her son, it would be unbearable for the trial to remain silent," Francis Szpyner, lawyer of Ruth Halimi, has said. Ilan Halimi, a 23-year-old mobile phone salesman, went missing in Paris in January 2006. After being lured by a young woman from the shop where he worked on Boulevard Voltaire, he was held captive for more than three weeks in a Paris suburb. Authorities found him naked, handcuffed and covered with burn marks from cigarettes near railroad tracks south of Paris on February 13, 2006. He died on the way to the hospital, having bled to death from stab wounds to his neck. Halimi’s abductors had tortured him while demanding a 450,000 euros ransom from his family and the Jewish community. The family was advised by police to ask for a face-to-face meeting before paying any money, but negotiations kept foundering. Just as shocking as the brutality of the murder was the fact that so many people knew about it and failed to tell the police. The girl who had been used to attract Ilan told several friends about the kidnapping, but none came forward. One of the gang members who did not want Halimi to be killed told his father what was happening. He advised the boy to keep quiet. The grisly anti-Semitic crime shocked France and its 600,000-strong Jewish community. After two years of investigation, the magistrate came to te conclusion that Fofana ordered a young pretty woman to target Halimi because he was Jewish and because they presumed Jews were wealthy. Fofana was arrested in March 2006 in the Ivory Coast, whre he had fled, and extradited to France. At his mother's demand, Ilan Halimi was reburied at the Givat Shaul cemetery in Jerusalem in February 2007. "You will never be able to hurt him any more," she wrote in her book, addressing the killers. "I took him away from here because one day you will be free and you would have been able to come and spit on his tomb." The trial will focus attention on rising anti-Semitic attacks over the past few years, in France where the desecration of Jewish graveyards has become a common crime in France." Evian les-Bains 24 April, 2009 – Christians from many European nations, and from from countries as far away as Australia, USA and Israel, crossed the Lake Geneva on Tuesday from the European UN headquarter in Geneva to Evian, to commemorate the failed Evian conference in 1938 [photo above]. In Geneva the Iranian president Ahmadinejad had been allowed to speak at the World Conference against Racism on Monday, calling Israel a "racist state". In Evian the delegates were reminded of a similar conference in 1938 where leaders of the 33 nations had gathered to deal with the consequences of Nazi annexation of Austria and the growing number of Jewish refugees in Germany and Austria. "Hitler wanted to test the nations if they were willing to receive the Jews so he forced a Jewish man to go to the conference with the offer to sell Jews for 250 USD per person, otherwise the first 40,000 Jews would be sent straight to the concentrations camps. The man was ridiculed and thrown out of the conference and no nation opened their borders", said the Mayor of Evian, Member of French Parliament, Marc Francina, who greeted the international guests to the event. Among the guests were Member of European Parliament, Hannu Takkula of Finland and Member of Swedish Parliament Mikael Oscarsson. Other parliamentarians, from the House of Commons in London and the parliament in the Netherlands, had sent their personal messages to the event. "Though Finland did not take part in the conference as such the government adapted the same negative position as the conference did", said MEP Hannu Takkula of Finland. "When a ship with 53 Jewish refugees tried to disembark in Helsinki on August 17, 1938 they were simply not allowed in to Finland though they had all their papers in order. On the ship was a mother who had just been given birth to a baby but the ship was sent back to Hamburg and the passengers were taken to concentration camps and ended up in the hands of the Nazis", said Takkula who as an elected leader of Finland asked for forgiveness on behalf of his country. "Please remember that these men and women were no different than any of us", said former minister of the French government, Georgina Dufoix, referring to the delegates which gathered in Evian in 1938 and rejected the Jewish refugees. Ahmadinejad is no fool either, he is an intelligent man but he is influenced by the most vicious spirit of racism there is, namely anti-Semitism. "This is not just another form or racism but something much worse. We only have to look at all the great disasters in Europe over the last centuries to understand the true nature of this spirit", she said. "The question is not whether the spirit of anti-Semitism will return to Europe or not, it is already here and we need to do something about it now while there is still time", said Eliyahu Ben-Haim from Jerusalem. "The question in 1938 is the same question that we are asking ourselves today. Would anyone be willing to stop Hitler where there were still time? The answer in Evian in 1938 was "no". But will Christians in Europe do anything to call their governments to stop Ahmadinejad today while there is still time? This is the question wee need to ask ourselves today in Evian 2009" , he said. The gathering issued a strong call to the governments of Europe to understand the seriousness of the rise of anti- Semitism in Europe and the existential threat of Israel and to learn from the mistakes of Evian 1938. In a private written message to the meeting the Italian Foreign minister Franco Frattini said: "We cannot underestimate the challenge of anti-Semitism, as the Western World did in 1938 at the Evian conference; we cannot allow ourselves to hesitate in firmly reacting to any indication that anti-Semitism is gaining ground. History clearly shows us that any hesitancy can pave the way to horrible tragedies." "Our voice must be strong and uncontroversial about the new forms of anti-Semitism, that commonly manifest themselves in the guise of opposition to Zionism and the existence of the State of Israel", he concluded. "May there be another voice coming out of Evian in 2009, one of determination and recommitment to the Jewish people and to the state of Israel", said the event organizer Tomas Sandell of the European Coalition for Israel. "Let us declare once and for all that Evian shall no longer only be known as the Evian of 1938 but as Evian of 2009." "Let the spirit of Evian 2009 symbolize our commitment to learn from history and to stand up for the Jewish people at this critical time. Let Evian no longer only be known as the place which paved the way for the Holocaust but a place which is known for bringing peace and justice to the world", he said. Dr. Tawfik Hamid, a former member of an Egyptian terrorist organization (and former colleague of Dr. Aiman Al-Zawaherri, who later became the second in command of Al-Qaeda) is today an Islamic reformer and a Senior Fellow at the Potomac Institute for Policy Studies. Did HRW and Amnesty protest at giving Ahmadinejad a platform at Durban II? "Prior to Ahmadinejad’s speech, international NGOs including HRW, Amnesty, and others did not protest the giving the Iranian leader a platform, despite his Holocaust denial and Iran´s dismal human rights record." While Canada, the US, Italy, Holland, Germany, Israel and other Western democracies decided not to participate, having decided that the Durban process could not be salvaged, and the principles should not be compromised for political expediency, Human Rights Watch (HRW) condemned these countries for "undermining" the conference. HRW also claimed (without credibility) that there was "no justification for the decision," and pressed for "engagement." Prior to Ahmadinejad’s speech, international NGOs including HRW, Amnesty, and others did not protest the giving the Iranian leader a platform, despite his Holocaust denial and Iran´s dismal human rights record. HRW, for instance, merely stated that his attendance raised "concern" and blandly calling Ahmadinejad a "divisive figure" for his "controversial" statements on Israel and the Holocaust. This lobbying helped legitimize Ahmadinejad´s absurd presence at a conference against racism. Even after his hate filled speech, while HRW admitted that it "contradicted the spirit and purpose of the conference" and "Iran´s record of repressing peaceful dissent does great injustice to the struggle against racism and discrimination," the NGO continued to advocate that governments "should respond by staying." This language echoes Commissioner Pillay´s attempt to downplay the impact of such language used under the façade of human rights. Remarkably, HRW drew a parallel between Ahmadinejad and the Western democracies that did not attend, claiming that their rhetoric was similar, while reiterating that the conference "was earlier undermined by the refusal of the United States to participate, which prompted walkouts by Australia, the Netherlands, New Zealand, and Poland." They have thus confused effect (the walkout) with the cause, which is corruption of human rights, aided by the radical NGO network." - European NGO Amnesty International: relentless and disproportionate focus on Israeli "violations"
"Well, during my time at the American Jewish Committee I was taught one important thing, namely that while there is antisemitism without Jews, there can be no antisemitism without antisemites." "In most discussions about antisemitism what is usually meant is conventional right-wing extremist hatred of Jews. Yet, inspired by the will to combat all manifestations of antisemitism, the OSCE has identified also other forms of Jew-hatred and respective groups of hate mongers. As Professor Weisskirchen has rightly pointed out in an article a little while ago, "[w]e already have the tools in order to [implement the measures set out in the 2004 Berlin Declaration]. It is therefore time to make use of them more effectively. "1 One such tool is the Working Definition of Antisemitism, which has been endorsed both by the EUMC, ODIHR and the Personal Representative of the OSCE Chairman in Office on Combating Antisemitism. Since best practices are about sharing experience in using the existing tools, I would like hereinafter to introduce to you four individuals with strong connections to the academic field, whom one could use to exemplify the use of this Working Definition. Since I am well-aware that the so-called "accusation of antisemitism" (Antisemitismusvorwurf) constitutes probably one of the most severe verdicts that one can pass on a human being, in particular on a German one – Eckart Jesse of the Hannah Arendt Institute in Dresden in his defence of Jürgen Möllemann at the time called it a "killer-argument" – and that it could moreover lead to unpleasant legal disputes of the kind that some of us in this room had to endure, I will refrain from presenting any antisemites to you today. Instead I will content myself with naming only non-antisemites, though academic ones to be sure. 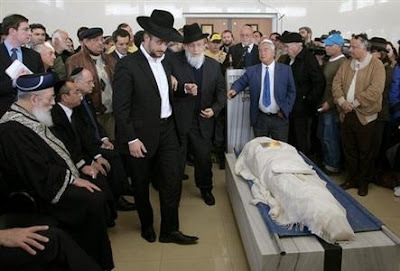 According to our colleague Juliane Wetzel from the Center for the Study of Antisemitism at the Technical University Berlin, who commented on this radio piece at the time, "he [Watzal] activates the typical clichés of Jewish capital and Jewish power". This perplexes me indeed: Wouldn’t it be presumptuous to qualify Watzal’s position as an antisemitic one, for he is after all an employee of Germany’s most important state institution for democratic education and moreover serves as one of the co-editors of Aus Politik und Zeitgeschichte, the academic supplement to the Bundestag’s own newspaper Das Parlament? He was formerly professor for Public Law at the University for Science and Politics in Hamburg. Let’s listen to what he has to say. I am trying hard to be convinced: Norman Paech could certainly not be antisemitic, for is he not currently Foreign Policy Spokesman of the parliamentary party of Die Linke in the Bundestag and moreover a member of the German delegation to the OSCE Parliamentary Assembly? He is a professor of sociology and head of the Lutheran Foundation for Advanced Studies in Villigst. He is a sociologist and political scientist, who taught at Science Po in Paris and was Research and Studies Director at the French National Foundation of Political Science. So what does he say? Grosser – an antisemite? Isn’t this virtually inconceivable for he is not only a noted world-class academic and laureate of the Peace Price of German Book Trade but most importantly also a Jew or at least of Jewish descent – as he never gets tired to point out. Not to forget that he was invited as a guest expert to address a hearing at the Bundestag on no other issue than –antisemitism. "Making mendacious, dehumanising, demonising, or stereotypical allegations about Jews as such or the power of Jews as collective – such as, especially but not exclusively the myth about a world Jewish conspiracy or of Jews controlling the media, economy, government or other societal institutions." Now I am fully confused, for doesn’t Ludwig Watzal’s portrayal of Haim Saban or Alfred Grosser’s characterization of Jews in general fall into this category? "Accusing Jews as a people of being responsible for real or imagined wrongdoing committed by a single Jewish person or group, or even for acts committed by non-Jews" and "Holding Jews collectively responsible for actions of the state of Israel." Maybe I am missing the point here, but is this not exactly what Alfred Grosser and Norman Paech are doing when blaming Israel, Jewish groups, individual Jews or even non-Jews for rising antisemitism? And isn’t Klaus Holz rationalising anti-Jewish hatred among Arab-Muslim immigrants when saying that it is a result of the discrimination suffered by them? "Drawing comparisons of contemporary Israeli policy to that of the Nazis." Is it my personal misperception that the term "war of extermination" that is used by Norman Paech to refer to Israeli demeanour is clearly linked to the kind of war conducted by the Nazis? Is it only my distorted impression that Klaus Holz – while not daring to draw a direct analogy between Israel und Nazi Germany – cites specifically an Israeli voice to provide such comparisons with discursive legitimacy? "Denying the fact, scope, mechanisms … or intentionality of the genocide of the Jewish people at the hands of National Socialist Germany and its supporters during World War II …" Isn’t this actually what Klaus Holz does when he downplays the collaboration of the Arab national movement with Nazi Germany? Now my question to you: Given that the aforementioned gentlemen cannot be antisemites due to their academic credentials, to their profession and to the particular group they belong to, what application can the current Working Definition still have? Is it really the case that the 56 participating states of the OSCE – after so many years of intensive discussion with the aim to clearly identify and to combat antisemitism – are so far off the track? Well, during my time at the American Jewish Committee I was taught one important thing, namely that while there is antisemitism without Jews, there can be no antisemitism without antisemites." 3 "Die Eskapaden der so genannten Holocaust-Industrie sind jedenfalls ziemlich bizarr und eine Beleidigung für die Opfer der nationalsozialistischen Vernichtungspolitik. Die Aktionen Sabans haben aber nichts mit Verschwörungsdenken zu tun, sondern sie sind ein Beleg dafür, wie symbiotisch das Verhältnis von Macht und Geld ist. Sabans politisches Anliegen ist, eine möglichst große Kontrolle über die Medien zu erlangen. Dass sich der Hollywood-Mogul nicht nur aus finanziellen Erwägungen in Deutschland engagiert hat, sondern das Land als Basis für etwas größeres ansieht, hat Peter Chernin, Präsident und Leiter der News Corporation, deutlich gemacht." 5 "Ist Ihnen einmal der Gedanke gekommen, dass eine derart exekutivische Gedankenzensur dem Antisemitismus, der in unserer Gesellschaft ja unleugbar besteht, neuen Auftrieb geben könnte?" 7 "Außerdem geht Israel derzeit mit einem unzulässigen Vernichtungskrieg gegen Milizen und Bevölkerung im Libanon vor." 8 "Die Militarisierung der israelischen Gesellschaft und die Zerschlagung der palästinensischen Zivilgesellschaft sind langfristige Ziele des Premierministers Ariel Sharon ..."
9 "Die israelische Besatzung ist der Ausdruck eines Staatsterrorismus, die palästinensische Gewalt ist eine Reaktion darauf." 10 "Der israelische Regisseur Eyal Sivan, der als Zeuge der Verteidigung während des Prozesses gegen Jolivet aufgerufen war, erklärte, dass der Vergleich Sharons mit den Nazis bei israelischen PazifistInnen gebräuchlich sei." 12 "In diesem verworrenen Rollenspiel sind die Juden nur noch eine metonymische Figur, in der die Ermordeten von gestern die Unterdrücker von heute überlagern." 13 "Wenn Saramagos Worte Kritik verdienen, so verdient die Banalisierung der Geschehnisse in den besetzten Gebieten im Namen der Erinnerung an Auschwitz unsere Entrüstung." 14 "Wenn die Besatzungspolitik des Westjordanlandes und des Gazastreifens sich über Jahrzehnte fortsetzt, wäre nicht nur die Existenz der palästinensischen Bevölkerung bedroht, sondern auch die Demokratie in Israel und die internationale Akzeptanz des Staates." 15 "Der Antizionismus in der arabischen Welt und der vieler PalästinenserInnen wird mit dem traditionellen Antisemitismus der westlichen Welt, der die Shoah hervorbrachte, in eins gesetzt." 17 "Vielmehr manifestiert sich der Antisemitismus in Einwanderergruppen häufig erst aufgrund ihrer Erfahrungen im Einwandererland. Zu den Voraussetzungen gehört ihre soziale, rassistisch und religiös begründete Ausgrenzung." 20 "Ich verstehe nicht, dass Juden heute andere verachten und sich das Rechtnehmen, im Namen der Selbstverteidgung unbarmherzig Politik zu betreiben. Verständnis für die Leiden der anderen – gilt dieser Grundwert Europas nicht erst recht für Israel?" 24 "Kritik an Israel und Antisemitismus haben nichts miteinander zu tun. Es ist vielmehr Israels Politik, die den Antisemitismus in der Welt fördert." "Regular visitors to this site will remember how Muhammed Ali Chisti was one of the speakers at the House of Litterature on March 22nd, and that his topic of choice was "Why I hate Jews" (Rabid anti-semite fights uphill battle?). On April 4th Abid Q. Raja from Venstre (Left, a liberal conservative party) and event manager at the debate on March 22nd, elaborated upon his controversial decision of letting Ali Chisti speak in an op-ed to Aftenposten. "Yes, it was right to let Mohammed Ali Chishti speak at the dialogue meeting on March 22nd, and to let him shout out his anti-Semitic rhetoric. Not only had I read the speach beforehand, I had also prepared the Jewish congregation about its contents. And it was I who asked Chisti to speak of how he and the others shouted "death to the Jews" in the demonstrations. In this I see nothing worthy of criticism, to the contrary, I took the bull by the horns. Not to discuss this is to turn ones back upon a dawning problem." "In 1938 the world was said to be divided up in two categories, those nations which Jews could not enter and those which wanted to expel them. The promised Jewish homeland was not even considered as an option for resettlement since it was believed to create more tension in then British Mandate Palestine. A few years later there would be six million Jews less to accommodate but then, finally, the urgency of creating a Jewish homeland was realized by the world community. But the prize to pay was far too high." "It is less than three quarter of an hour by car from Geneva to its much smaller sister city Evian-les-Bains on the French side of Lake Geneva. What Evian lacks in size and political importance, it makes up in history and style. This rather sleepy, but healthy, town at the foot of the Alps can boast with one the grandest fin-de-siècle resort hotels of its kind as well as the bottled water which bears its name. But Evian has a less friendly side which has left its mark in history. Simply Google "Evian" and you come up with a resort, a water and a conference which by some historians has been called "Hitler's green light for genocide." Last year marked the 70th anniversary of the Evian conference on the future of the Jewish refugees, but it was effectively forgotten as France at the time chaired the European Union. As President Nicolas Sarkozy hosted the conference which was to launch a new era of cooperation around the Mediterranean Sea, the last thing France wanted to be reminded about was Evian 1938. You cannot blame it. Evian goes down as one of the darkest chapters of modern European history when appeasement was the mode of the day and anyone who did not believe in "peace in our time" was simply disregarded as a warmonger. It is not only the proximity between the two cities which is striking but also the zeitgeist of Evian 1938 and this year's United Nations Conference against Racism. Whereas the original UN conference against racism in Durban in 2001 spiraled out of control with its obsession with the Judenfrage, there are no guarantees that this year will not be a repeat. Western governments have been paying lip service to their commitment to withdraw from anything that would resemble the hate fest in 2001, but words will be cheap when the commitment of the Western nations to stand true to our universal values is tested. BACK TO EVIAN in 1938. As Hitler had annexed Austria and hundreds of thousands of Jewish refugees were seeking a safe haven outside of the Nazi-controlled areas, the free world knew that something had to be done. It was the US president Franklin Roosevelt who finally called together the conference with the objective of seeking a solution to the Jewish refugee problem. Thirty-two nations were invited to participate. It soon became clear that the conference was not going to solve anything, as one country after another explained that they all agreed that this was a major humanitarian problem which needed to be solved, but that their respective country could not do anything about it. Others were less diplomatically skilled. "Our country is simply not big enough to receive any Jewish refugees," said the Canadian representative. When asked how many refugees Canada could receive the answer was, "One is too many." "Australia has no racial problem and we are not desirous of importing one," is a quote which today is on display in Yad Vashem in Jerusalem. The list of obscenities does not stop there. A proposal to rescue the refugees by simply letting 10 countries receive 25,000 Jews each was flatly rejected. While these tragic decisions were made, which would ultimately have consequences for millions of Jews, some historians note that pleasure cruises on Lake Geneva were very popular among the delegates, as were tennis and golf in the fresh mountain air. PERHAPS IT is again the allure of cosmopolitan Geneva and the same mountain climate which makes it so difficult for Western diplomats to simply say no to the UN conference which singles out only one country, Israel, as the racist state of the world and calls its policies "apartheid." What makes this conclusion even more surreal is the fact that the working group, which has been drafting the text, consists of human rights champions such as Libya, Iran and Cuba. The language in the draft resolution has been unacceptable for many, still the decision to withdraw seems difficult to make. At the moment only a few governments beside Israel has decided to boycott the conference, namely the US, Canada, Australia, the Netherlands and Italy. One thing is clear. The UN conference in Geneva, which starts today and runs through Friday, will not be a friendly place for any of us who sympathize with the Jewish cause. But things could be worse. In 1938 the world was said to be divided up in two categories, those nations which Jews could not enter and those which wanted to expel them. The promised Jewish homeland was not even considered as an option for resettlement since it was believed to create more tension in then British Mandate Palestine. A few years later there would be six million Jews less to accommodate but then, finally, the urgency of creating a Jewish homeland was realized by the world community. But the prize to pay was far too high. It is of course the irony of time that a conference dedicating itself to fighting racism, the very disease which lead to Hitler's Holocaust, is currently paving the way for a legitimizing of Jew hatred and Israel bashing around the world. Let us hope that the world will have learned its lesson this time. When only one people's state is singled out as racist in the whole world, we are awfully near to Evian 1938. 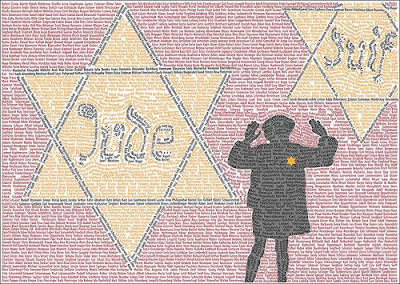 On the second day of the UN conference, Tuesday, April 21, which also happens to be Holocaust Remembrance Day, a commemoration event will be held in the small synagogue in the city that hosted the fateful 1938 conference." Hours after the US said it would boycott the UN conference over objectionable language in the meeting's final document that could single out Israel for criticism, Australia and Holland followed suit on Sunday morning, saying they were concerned the conference would be derailed by some countries to issues other than human rights. "Australia has decided not to participate in the Durban Review Conference," Australian Foreign Minister Stephen Smith said in a statement. "The 2001 Declaration singled out Israel and the Middle East. Australia expressed strong concerns about this at the time." "Regrettably, we cannot be confident that the Review Conference will not again be used as a platform to air offensive views, including anti-Semitic views," he continued. Dutch Foreign Minister Maxime Verhagen later issued a statement saying his country was boycotting the conference because some nations were using it as a platform to attack the West. Verhagen said these countries were planning to use the summit to put religion above human rights and rein in freedom of speech. He called the proposed closing declaration "unacceptable." On Saturday night, the State Department said that the Obama administration would "with regret" boycott the conference. It followed weeks of furious internal debate and fierce lobbying by Israel and Jewish groups against US participation. A final draft of the statements, released late Friday, made changes to sections that had referred to a "hierarchy" among forms of racism, but left intact sections that the US had said would cause it to boycott the meetings. The conference's planning has been dominated by efforts by Arab nations to prioritize concerns about Islamophobia and "anti-Arabism" - widely interpreted as a thinly veiled code for the treatment of Palestinians. Some revisions - including the removal of specific critical references to Israel and problematic passages about the defamation of religion - were negotiated, for which State Department spokesman Robert Wood said the administration was "deeply grateful." Israel, Canada and Italy had already said they would not attend the conference under any circumstances because of the tenor of the debate surrounding the planning, and due to the politicized nature of the event itself. "The text is not the only or even the main thing to consider," Israel's ambassador to the UN in Geneva, Aharon Leshno-Yaar, said Saturday. "The general mood is a very negative one and everybody is ignoring the main question, which is, 'Does this do good or bad to the fight against racism?'" Leshno-Yaar said the conference would be "only about politics," adding that there would be "nothing about the fight against racism." American officials had already said in February that they would not accept a final document that reaffirmed the text endorsed during the first World Conference Against Racism in 2001. The US and Israel walked out of that conference over a draft resolution that singled out Israel for criticism and likened Zionism to racism. The US had joined Israel in objecting to any further such references, as well as to language declaring that "incitement to racial discrimination" is illegal, something US officials fear would limit free speech. The changes released on Friday retained language reaffirming the program of action adopted at the original conference. 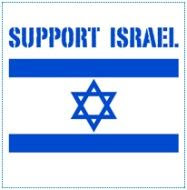 The American Israel Public Affairs Committee (AIPAC) welcomed the Obama Administration's decision to boycott the meeting. "President Obama's decision not to send US representation to the event is the right thing to do and underscores America's unstinting commitment to combating intolerance and racism in all its forms and in all settings," AIPAC said in a statement. (...)"
Source: Extracts from NGO Monitor "Durban II Resource Guide"
"Jewish representatives were subjected to verbal assaults and threats of physical violence throughout the conference. Major international NGO superpowers Human Rights Watch and Amnesty International failed to speak out against the harassment and were even complicit in the exclusion of representatives of Jewish non-governmental organizations." "a policy of complete and total isolation of Israel as an apartheid state ... the imposition of mandatory and comprehensive sanctions and embargoes, the full cessation of all links (diplomatic, economic, social, aid, military cooperation, and training) between all states and Israel." The NGO declaration also condemned Israel’s "perpetration of racist crimes against humanity including ethnic cleansing, acts of genocide." It redefined antisemitism to include "anti-Arab racism." Noticeably absent from the declaration was any reference to Palestinian incitement to genocide and terror, or to the Palestinian policy of deliberately endangering its civilians through the use of populated Palestinian areas as launch pads for attacks on Israel. The Forum’s declaration has become an action plan – the Durban Strategy – for the radical pro-Palestinian NGOs that helped draft the document, as well as for many of the international NGOs that supported it." • Promoted false allegations of a "massacre" in Jenin (2002). • Lobbied on behalf of boycotts and lawfare in the Ariel Sharon-Belgium (2001) and Caterpillar (2005) cases. • Calls for arms embargo against Israel. • Unjustifiably accused Israel of "war crimes" and "deliberate attacks on civilians" during the Second Lebanon War (2006), relying on Lebanese "eyewitnesses" to allege that Hezbollah did not operate in population centers. • Disproportionately singles out Israel for condemnation during the Gaza conflict (2007-2009), manipulating terms such as "collective punishment," "occupying power" and "indiscriminate force," and ignoring more severe human rights violations in the region. Palestinians in the OPT are necessary for Israel’s security. Within Israel, discriminatory laws and practices undermine the rights of Israeli Arabs in particular with regard to economic, social and cultural rights, and lack of due process undermines the rights of asylum-seekers and migrants." [Submission to Universal Periodic Review of Israel, July 2008]"
"At the bottom of the list, the study ranked Britain (34%) France (27%) and Spain (23%) as the least sympathetic countries towards Israel." "The greatest level of sympathy towards Israel can be found in India, according to international study on behalf of the Foreign Ministry, Yedioth Ahronoth reported Friday. After watching the videos, a total of 51% of all respondents said their views on Israel changed for the better. The percentage of respondents who perceived Israel as an aggressive state subsequently dropped from 35% to 21%. Meanwhile, the percentage of respondents who perceived Israel as a creative country rose from 24% to 40% after watching the clips." "Participants in Associazione Comunita Papa Giovanni XXIII's project adopt the Palestinian narrative and use the rhetoric of "colonizing," "massacres," and "ghettoizing." Project publications repeat unsubstantiated allegations of Israeli violence and "poisoning pasture[s] and water tanks."" - Many of the "civil society" organizations funded under the European Commission's Partnership for Peace Programme (PfP) are active participants in the Durban strategy that exacerbates the conflict and promotes campaigns against Israel. - In the most recent round, support for five projects and associated NGOs was renewed including the tendentious activities of ARIJ, Ir Amim, Associazione Comunita Papa Giovanni XXIII, and Panorama. - After eight years of funding, support for ICAHD – a radical Israeli NGO – was not renewed. The EC had been ICAHD’s main source of support. - The PfP website features the "Words Can Kill" project, jointly implemented by Israeli NGO Keshev and Palestinian NGO Miftah (2005-6 grant). Miftah's website is a forum for demonization of Israel and "disseminate[s] the Palestinian narrative and discourse globally," making a mockery of the EC's stated goals of a "culture of moderation, tolerance, and understanding." - "Phase III" of an ARIJ project "aims at disseminating information on Israeli colonization by monitoring Israeli colonization activities through the collection of primary and secondary data and the analysis of colony’s land use changes." EC support contrasts with the "partnerships for peace" rhetoric, and the information appears to be used to bolster the Palestinian side "in the course of negotiations." - Funding for Ir Amim's "Final Status in Jerusalem" project constitutes an attempt by EC officials to manipulate Israeli democracy to conform with the dominant EU "political vision." Jerusalem is the most sensitive and explosive dimension in the conflict, and this funding is particularly volatile. - Participants in Associazione Comunita Papa Giovanni XXIII's project adopt the Palestinian narrative and use the rhetoric of "colonizing," "massacres," and "ghettoizing." Project publications repeat unsubstantiated allegations of Israeli violence and "poisoning pasture[s] and water tanks."" Pictures taken at this years' famous Aalst carnival parade. 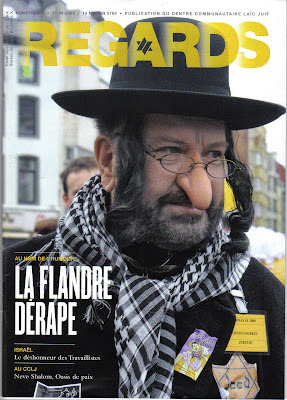 Middle-aged men are disguised as orthodox Jews with crooked noses and wearing a yellow star. The Palestinian keffiehs and the combat helicopters (photo on the right) only serve to demonize Israel and the Jews. Sadly, this appalling "humour" hasn't drawn any criticism, other than an article in the Jewish French-speaking Regards magazine. "This image was created by Dzeni. It contains the names of 1,692 victims of the Shoah. These names were found on the Yad Vashem Central Database of Shoah Victims. The boy in the image is taken from the famous Warsaw Ghetto Photograph." - Jewish groups' anger at Belgian TV digs: "the Jews are still angry"
- Belgium: Hitler favourite dish TV show scrapped due to pressure exerted by "Semites"
On March 1st the Israeli political scientist Manfred Gerstenfeld from the Jerusalem Center for Public Affairs was misquoted by 20 Norwegian newspapers for saying that "Norway is the most anti-Semitic country in Europe" and "Norwegians are unintelligent and barbaric". These misquotes still circulate in the Norwegian media. You can find more about these misquotes here. Yesterday on April 5th, in the wake of the media circus regarding the phony source David Weiss, Dagbladet.no runs a op-ed by Gerstenfeld in which he states "There is a need for an international research institution to undertake an in-depth study of what this Norwegian government has said and done…". Read the full text below, or read it in Norwegian here. The heading above and the translation below is from Tundra Tabloids. In an article in Dagbladet of 30 March titled "Israelsk avis: Kristin Halvorsen sa "Død over jødene!"" the authors are quoting a text on the TV2 website. It alleges that – in an interview on that station – I said that "The Norwegians are a Jew hating nation," and "The Norwegians are a barbarian and unintellectual people." As I write this, that interview is still on the internet. Had the authors watched it as they should, instead of reading about it, they could not have heard me say these words. Normally an interviewer asks questions and the interviewee answers them. I take responsibility for what I say on TV2 in English. However the interviewer also inserts various statements in Norwegian in my name which I did not say, but are his manipulations. Had the TV2 correspondent recorded such statements by me on camera he would have certainly shown them. I am still waiting for an answer from TV2 on my request for an additional interview, in view of these manipulations. I intend now to bring a complaint to Pressens Faglige Utvalg (PFU). In the meantime the same TV2 interviewer has also radically distorted some of my words in a telephone conversation he had with the daily Dagen which was published. (on April 2). Dagbladet has asked me whether I told the journalist of the Jerusalem Post that Kristin Halvorsen [photo above] shouted "death to the Jews" in a pro-Palestinian rally. I did not. What I told her is that Halvorsen is an extreme anti-Israeli. I also referred her to the largest Israeli newspaper Yedioth Ahronot as a source which mentions that Halvorsen was present when there were such shouts by others. Since then the Finnish blog Tundra Tabloids and afterwards Dagens Naeringsliv have published a picture of Halvorsen smiling in an anti-Israeli demonstration in 2009. Very close to her another demonstrator holds a sign: "The greatest axis of evil: USA and Israel." One can find my detailed views on Anti-Semitism and anti-Israelism in Norway in my book in English Behind the Humanitarian Mask, The Nordic countries, Israel and the Jews, which was published last year. Due to the great international interest in the book, only a few printed copies remain. The Jerusalem Center for Public Affairs therefore recently made the book available at no cost on the internet. Many thousands have entered that website since. Norway is a country where the political leadership in power is very critical of the Israeli democracy. This government is also relatively soft on Israel’s dictatorial opponents, some of which declare that they want to murder all Jews. This supports a state of mind in Norway which can only lead to more hatred of Israel and Jews. There is a need for an international research institution to undertake an in-depth study of what this Norwegian government has said and done concerning murderous behavior, calls for mass murder of Jews, war crimes, major human rights offenses, restriction of civil liberties and political rights and so on in the Muslim world, including the Palestinian territories. Such a study should also stress on what issues the Norwegian government remained silent. When one will compare this with its behavior toward Israel a clear picture will emerge of its false humanitarianism. Furthermore several Norwegian Jews have made public statements concerning anti-Semitism they have encountered over recent years. Some are mentioned in my book. Others were made in private because people are afraid. In many countries there are studies on local anti-Semitism. Such a study on Norway is necessary. The media attacks on those who expose anti-Israelism and anti-Semitism will not make the problems go away. "Her Majesty’s Government might as well tolerate the activities of a Choudary – advocate ofthe Sharia. It might as well offer its protection to a Ghannouchi – propagandist of the Jihad. It is doing nothing other than preparing new "July 7" disasters and new defeats for democracy." "There was a time when Great Britain was led by Sir Winston Churchill, and that was the Age of Resistance and of Glory. Today all we have is Gordon Brown and the time of capitulation has arrived. One could have hoped that after the tragedy of 7 July 2005, Londonistan - this symbol of the age whereby the British capital serves as the place of refuge of all the Islamists of the world - belonged to the past. Don’t kid yourself ! Less than four years after the London massacre, those who plotted against democracy in Europe and against societal progress in the Muslim-Arab world are getting a warmer welcome from Westminster than ever before. Let’s consider one fact, to begin with: in mid-February the Dutch populist deputy Geerts Wilders, who made a film critical of Islam – Fitna - was purely and simply expelled from Great Britain. He had been invited by a member of the House of Lords to speak before a group of parliamentarians during a private meeting at which his film was supposed to be screened. Another member of the honourable assembly, Lord Ahmed, who is of Pakistani origin, threatened to mobilize thousands of Muslims to prevent Geert Wilders from getting inside the Parliament building. The Labour Government, more precisely Madame Jacqui Smith, Interior Minister, then ordered the arrest of Mr. Wilders, who was taken, manu militari, to his plane and expelled from the country. One may like Mr. Wilders or not, but we are talking about the elected representative of a member country of the European Union. If some people, rightly or wrongly, believe themselves to be insulted by the views he holds of Islam, they have the possibility of taking the matter to the courts. But in London, they will not have to go so far: the Interior Minister has spared them the effort by censuring the troublemaker. Neither is there censure for Rachid Ghannouchi, a Tunisian extremist who, in the 1980s, was the founder of the Islamic Tendency Movement, then of Ennahda, two movements which aimed to transform Tunisia into an "imamat," in the framework of a grand Islamic caliphate. These past few weeks, he spoke out against Israel in the British media - which is his fundamental right. What is undoubtedly more debatable is that he acted as the advocate of Hamas, which is considered as a terrorist movement in Europe - and he believes Hamas is the spearhead of the Palestinian resistance. Better still, on 19 February he co-signed with several other Islamist leaders close to the Muslim Brotherhood a call for the creation of a "third Jihadist front." The document was adopted at the conclusion of a "summit" held in Istanbul during the course of which the same leaders called upon the Arab states to facilitate "the passage of combatants’ and arms" before hurling out the cry: "There will be no accord with Israel." On 22 February, in an interview with the satellite television network Al-Hiwar (during a broadcast of "Taamoulat fiddine wal siyassa" - reflections on religion and politics), he said he admired the Qassam rockets, a "civilised weapon": "The word "terrorize" has, here, a magnificent meaning… That’s why I admire the Qassam rockets. The aim of those missiles being only to terrorize …". More recently, on 23 March, he cast doubt even on the right of the Jewish state to exist: "Israel is a temporary political reality. In the 1920s or 1960s, there was a state called Zanzibar. Where is it today, this state called Zanzibar?" Can one be clearer? We note that in the same interview the "moderate" Ghannouchi gave us quite directly his political plans for Tunisia: "A democratic state in a Muslim society like Tunisia can only be an Islamic state." Here again: can one be any clearer? When you criticise the great degree of tolerance which they have shown for years when confronted with Islamism, the English authorities are used to responding that this is nothing more than respecting freedom of speech. That is a nice excuse for covering up a quite cynical calculation. Because the reality is quite different: London believes in fact that in order to protect itself against the Muslim-Arab world toppling into the hands of the Jihadist "extremists" they have no choice but to take sides and encourage the accession to power of the "moderates." They forget a few small details: in Pakistan it is the "moderate" Islamists who have encouraged the Afghan Taliban; in Algeria it is the "moderate" Islamists of the Islamic Salvation Front who gave rise to the killers of the GIA in the 1990s. And here and there around the world, it is the "moderates" of the Muslim Brotherhood who are currently preparing the establishment of the Caliphates which we will perhaps be confronting tomorrow. Her Majesty’s Government might as well tolerate the activities of a Choudary - advocate of the Sharia. It might as well offer its protection to a Ghannouchi - propagandist of the Jihad. It is doing nothing other than preparing new "July 7" disasters and new defeats for democracy. "You were given the choice between war and dishonour. You have chosen dishonour and you will get war," Winston Churchill told Neville Chamberlain the day after the Munich agreements. But Great Britain is run by Mr. Gordon Brown in 2009, not by Mr. Churchill." "... the launch of the IUPFP British branch with Jeremy Corbyn MP [and Dyab Abou Jahjah, President of the pro-Hezbollah and pro-Hamas Arab-European League (see photo below)] in the British Houses of Parliament on the 31st March." "As the Chairperson of the English branch of the International Union of Parliamentarians for Palestine (IUPFP), I am pleased to invite you to our launch meeting in Parliament on 630pm Tuesday 31st March under the title 'Solidarity with Palestine after the Gaza onslaught'. We are honoured to have speaking at this meeting guests who are leading elected representatives of the Palestinian and Lebanese people in the persons of Mr Hussein el-Hajj Hassan MP from the Loyalty to the Resistance Parliamentary Bloc in Lebanon, and also Mr Hasan Khreishi the Vice President of the Palestinian Parliament. We also have esteemed guest speakers Mr Jeremy Corbyn MP and Mr Dyab Abou Jahjah the International Director of the IUPFP. To confirm your attendance please RSVP to me via replying to this email at the and you will receive a confirmation of your attendance. Please also let me know if you are bringing any other person(s) with you. "Last week Dyab Abou Jahjah, the International Director of the International Union of Parliamentarians for Palestine (IUPFP) was in London to launch the British branch of the IUPFP. The Zionists put pressure on the British government to bar Abou Jahjah from entry into England without success. Two conferences sucessfully took place in London organised with the involvement of the IUPFP , both events featured our guest speaker and Hizbullah leader Dr Hussein El-Hajj Hassan. The first conference was under the auspices of the Stop the War Coalition and one of it's leader John Rees on Monday 30th March; and the second was the launch of the IUPFP British branch with Jeremy Corbyn MP in the British Houses of Parliament on the 31st March. After a short trip to Belgium and upon Abou Jahjah's re-entry to Britain on the 3rd April, Abou Jahjah was stopped for six hours by British immigration police and denied entry. This is a part of European criminalisation of the resistance and of the movement of solidarity with Palestine, a movement which is on the rise in the West. This is the second attempt at Western criminalisation of solidarity with Palestine and the resistance after the refusal of entry by the Canadian authorities of George Galloway MP, the leader of Respect Coalition and the initiator of the Viva Palestina convoy to Gaza, Palestine. This poses the question: are European powers sincere in their steps towards opening a dialogue with the resistance in the region? We demand from European parliamentarians to protest to the British authorities that they lift these anti-democratic measures. Sukant Chandan, President of the IUPFP - Britain"